Does the contractor have adequate experience and references available? Will the company be conducting all aspects of the job themselves or will they need to rely on other contractors to complete? Can they provide a Certificate of Insurance outlining coverage is effective from their local agent or insurance company before they job begins? Has the contractor had any claims against them from a General Liability or Workers Compensation incident? Are they financially stable enough to complete the job? Will they put the agreement in writing? 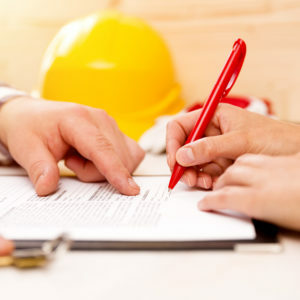 It is best to enter into a contract detailing the scope of work you are hiring them for outlining the completion date and responsibilities for the work. Putting these tips into action utilizing references will help avoid potential future complications. Protect your piece of the world by choosing the best qualified contractor!